This time travel duology focuses on the journey of Etta Spencer, a modern Manhattan teen, and Nicholas Carter, of 18th century Manhattan, as they race against time itself to find an object of untold value and save Etta's future. 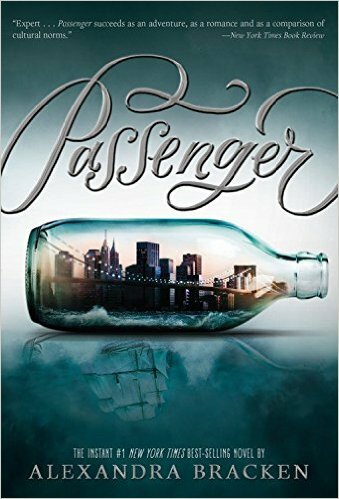 Start reading Passenger today for free! Nicholas Carter is content with his life at sea, free from the Ironwoods-a powerful family in the colonies-and the servitude he’s known at their hands. But with the arrival of an unusual passenger on his ship comes the insistent pull of the past that he can’t escape and the family that won’t let him go so easily. Now the Ironwoods are searching for a stolen object of untold value, one they believe only Etta, Nicholas’ passenger, can find. In order to protect her, he must ensure she brings it back to them – whether she wants to or not. Etta Spencer didn’t know she was a traveler until the day she emerged both miles and years from her home. Now, robbed of the powerful object that was her only hope of saving her mother, Etta finds herself stranded once more, cut off from Nicholas—the eighteenth century privateer she loves—and her natural time. When Etta inadvertently stumbles into the heart of the Thorns, the renegade travelers who stole the astrolabe from her, she vows to finish what she started and destroy the astrolabe once and for all. Instead, she’s blindsided by a bombshell revelation from their leader, Henry Hemlock: he is her father. Suddenly questioning everything she’s been fighting for, Etta must choose a path, one that could transform her future. Still devastated by Etta’s disappearance, Nicholas has enlisted the unlikely help of Sophia Ironwood and a cheeky mercenary-for-hire to track both her and the missing astrolabe down. But as the tremors of change to the timeline grow stronger and the stakes for recovering the astrolabe mount, they discover an ancient power far more frightening than the rival travelers currently locked in a battle for control. . . a power that threatens to eradicate the timeline altogether. 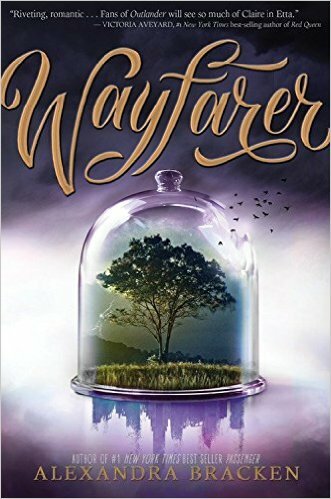 A short story set in the world of Passenger and Wayfarer, once exclusive to the signed Target edition of Wayfarer, and now available in the Wayfarer paperback edition!